I take photos that will eventually be placed in a MicroStation or Autocad CAD file. The photos will be tagged with the GPS location by my mobile phone’s camera. 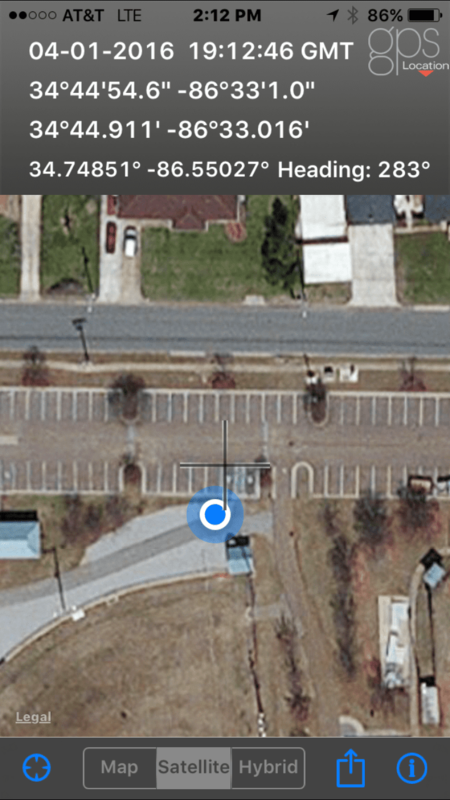 Accuracy of the GPS location is important buy my phone is usually accurate to ~26 feet. 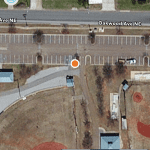 When I found the Bad Elf Plugin GPS device I was super excited. The price was right and I bought one. 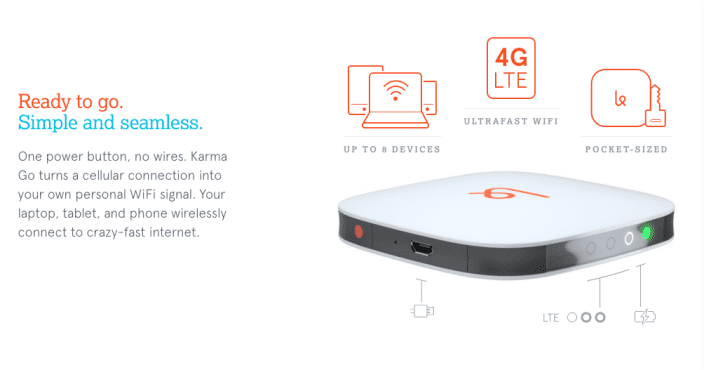 Then I found the Karma Go, a portable WiFi device. 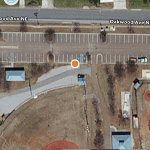 This blog post is a quick review of how each performs individually and together to improve the GPS location data. First, a quick review of the basics: 1) GPS location accuracy is only as good as the device you are using, 2) GPS accuracy can be affected by trees, clouds, and tall buildings – anything that comes between you and the satellites, and 3) GPS location accuracy can be improved with the addition of WiFi – the more points of reference your device can make the more accurate your location data. 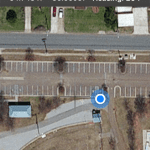 In reality, the times we need the best GPS location data is when we are farthest away from WiFi. Maybe I’m walking a sidewalk or greenway. 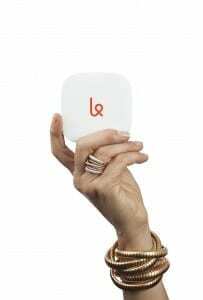 With the Karma Go you can have WiFI anywhere. The Bad Elf Plugin works with your iPad, iPod, iPhone, and minis. 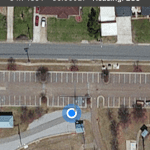 Improved location accuracy is achieved by increasing the number satellites your mobile device can access. Their mobile app will show you how many satellites are available and their location. I decided to see how accuracy is impacted by the Bad Elf Plugin and the Karma Go. 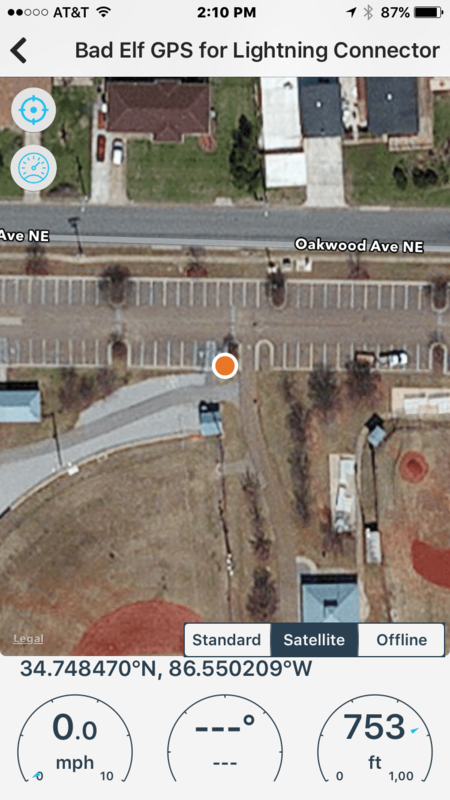 This test would require the best tree free location on a not too cloudy day. I headed to the park near our office for the test. 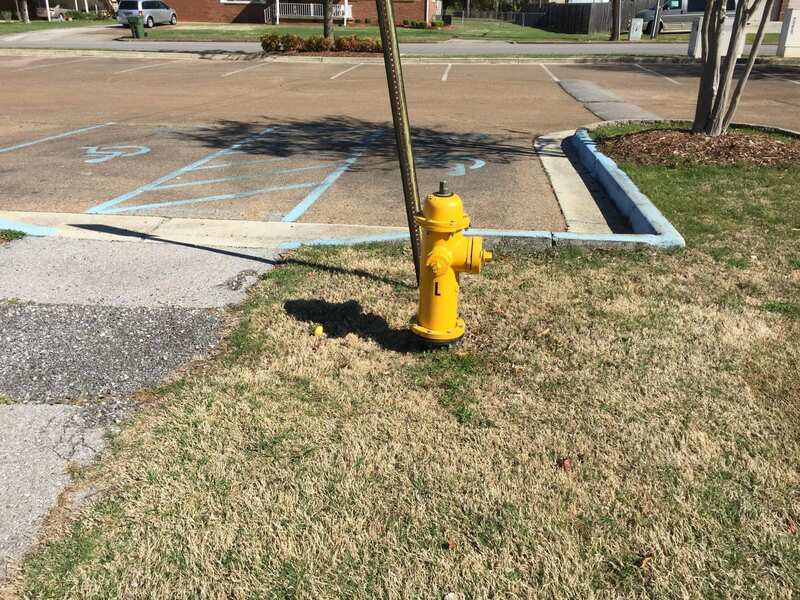 Location of hydrant is in front of handicap parking spot. Let’s start with cell phone accuracy without any help. 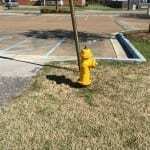 Here is a photo of a fire hydrant on the edge of a parking lot at the park. 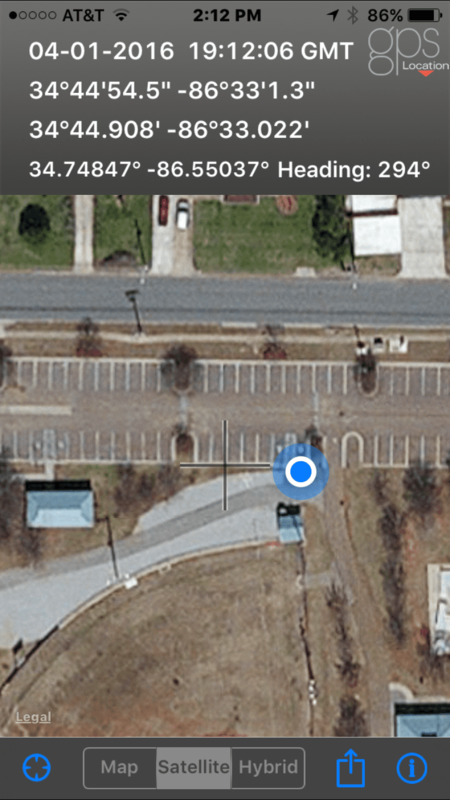 I was standing to the right of the fire hydrant when I took screenshots of the GPS location with and without the Bad Elf Plugin and the Karma Go. 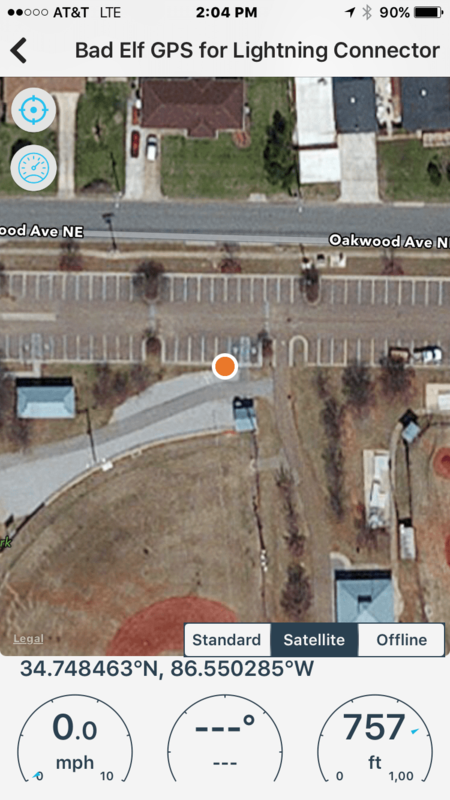 Below it is a screenshot of the location data from a GPS location app on my iPhone 6. The location is off by approximately 9 feet. Click on the images to see a larger view. Now we add the Bad Elf Plugin. The orange dot is a bit closer. Here is the Bad Elf Plugin with the Karma Go WiFi. The orange dot is pretty much on the spot. Finally, with the Karma Go WiFi and no Bad Elf. My conclusion is the WiFi provides the best location accuracy. I’m sticking with the Karma Go. What do you think? Would either of these devices be helpful in your work? Leave a comment below.